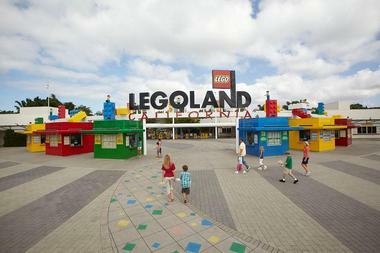 LEGOLAND California Resortpromises fun for all ages and is one of the best things to do in Carlsbad, California. Located just half an hour north of San Diego, the hands-on theme park is home to over 60 themed rides, interactive attractions, and shows for children between the ages of two and twelve, while SEA LIFE Aquarium and LEGOLAND Water Park provide entertainment for the whole family. LEGOLAND Water Park boasts LEGO Legends of CHIMA Water Park, which takes your imagination on an amazing journey with an amazing Lion Temple Wave Pool, terrifying crocodile swamp, and an interactive Build-a-Boat section, as well as Build-A-Raft River, and two sandy beaches. Shows and events at the park include Holiday Snow Days, Winter Nights, Jingle Jammers, and Mini Figure Trading, and guests have a choice of visiting for the day or staying longer in the themed LEGOLAND Hotel. South Carlsbad State Beach is a beautiful stretch of protected coastline that offers an array of outdoor activities to enjoy. White sand, coastal bluffs, and warm water make it a favorite spot for locals and tourists alike – come and enjoy swimming, surfing, scuba diving and snorkeling, fishing, beachcombing, and picnicking. 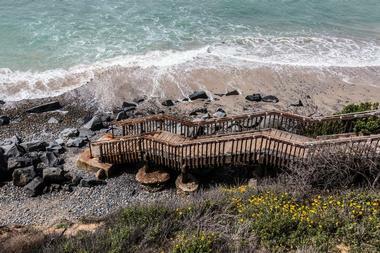 South Carlsbad State Beach is one of the top Carlsbad attractions. 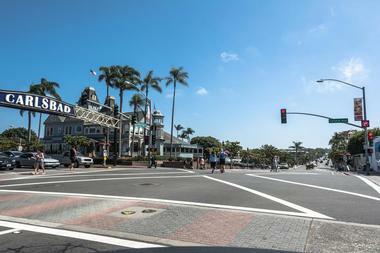 Boasting an array of shops, restaurants, hotels, and many other services, Carlsbad Village is the heart and soul of Carlsbad. It is located in the downtown commercial area of Carlsbad and is easily accessible on foot, which is, in fact, the best way to explore the area and all it has to offer. Roam around second-hand clothing shops and antique stores – the Carlsbad Village Antique Mall boasts over 100 vendors selling countless treasures. 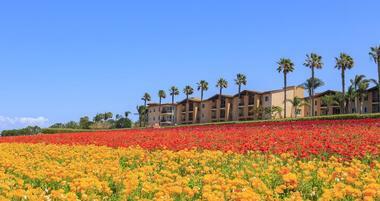 If you are wondering what to do in Carlsbad today, this is a great place to start exploring. Stop in at the Witch Creek Wine Tasting Shop for a sample of some of California’s best vintages or enjoy lunch at one of the many restaurants and cafés dotted around the area. Visit the Alt Karlsbad Hanse House on Carlsbad Boulevard, a famous landmark that is the site of the first mineral water spa in the village dating back to the 1880s, and a good place to indulge in a mineral spa treatment or massage. Stroll through the Carlsbad Village Farmer’s Market held on Wednesdays and pick some fresh local fruits and vegetables or enjoy a drink at one of several buzzing bars and hot night spots that draw lively crowds in the evenings. The Museum of Making Music is dedicated to showcasing and celebrating the music products industry. Established in 2000, the museum features an array of special exhibitions and it hosts innovative concerts and educational programs, features that focus on providing cultural enrichment as well as preserving musical heritage. 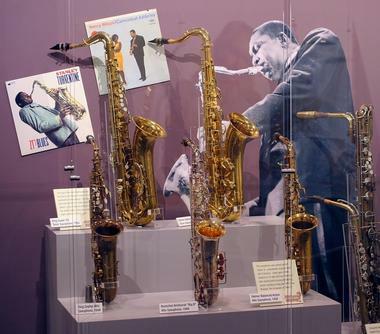 Permanent interactive exhibitions are organized in chronological order and showcase the historical milestones, popular music, and instruments of several different eras, include vintage instruments and audio and video clips. Twice a year, special exhibitions are presented alongside modern music presentations and workshops that highlight the music of both local talent and renowned international and national musicians. The Museum of Making Music is open Tuesday through Sunday, and group tours can be organized in advance. SEA LIFE Aquarium is a family-friendly interactive sea aquarium located on Legoland Drive in Carlsbad. The aquarium is home to more than 5,000 sea creatures that represent over 200 species, some of which include clownfish, octopus, rays, sea horses, and sharks. Children are given the opportunity to touch some of the animals, including crabs and sea stars. Other potential animal encounters include watching the animals being fed as well as dive shows. 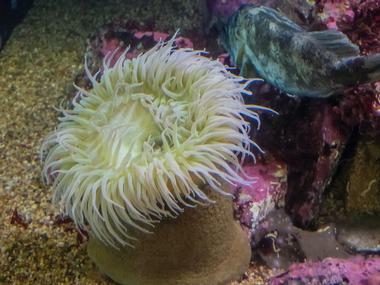 The aquarium welcomes school groups, other groups such as Girl Scouts and Boy Scouts, and corporate events and birthday parties that include a meal at the aquarium’s Ocean Journey Cafe. New Village Arts Theatre is a performing arts theater that presents dramatic and musical productions. 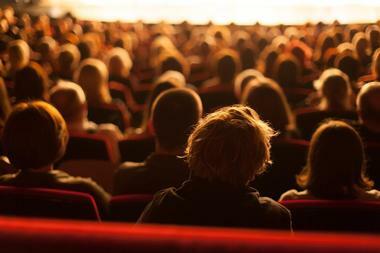 With a seating capacity of 99 people, the intimate theater hosts productions arranged by a local ensemble group. This group is made up of 14 actors, designers, directors, and stage managers. Some of the past productions have included As You Like It, Golden Boy, and Into the Woods. The theater offers several education outreach programs including Mondays with Sammie, and visits to schools led by the Junior Ensemble. The theater works with a local youth acting program called Kids Act, which offers acting classes for children. 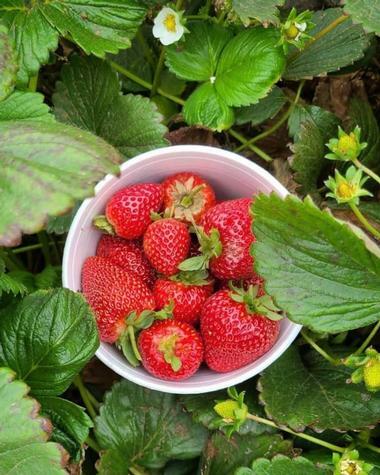 Carlsbad Village Farmers’ Market is a weekly Wednesday farmers’ market that offers fresh organic produce, flowers, handmade arts and crafts, locally prepared hot and cold food, and plants. Carlsbad Village Farmers’ Market is one of many reputable markets to make the list of San Diego County’s Certified Farmers’ Markets. This type of farmers’ market allows consumers to buy directly from farmers and helps to support the many small farming operations in the area. Carlsbad Village Farmers’ Market also hosts events such as free concerts performed by local musicians. 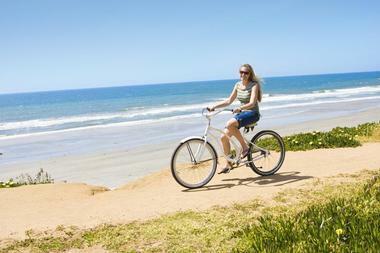 Pedego Carlsbad offers a unique and fun way to see and experience the coastal town – on an electric bike! The bike comes with an electric assistance of up to 20 mph, giving you the freedom to go farther and faster without extra effort which makes Pedego Bikes a very popular way to cruise the city. Pedego Carlsbad offers a range of fun tours and excursions ranging from the Dali Lama Tour, which cruises along the coastline parallel to the Historic Hwy 101 and showcases the simpler, quieter lifestyle of the past, to the Couples Romantic Picnic Tour, which features seven miles of spectacular beaches and picturesque lagoons for the perfect picnic. 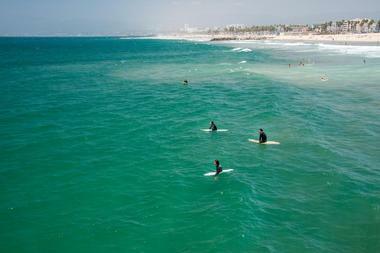 Other tours include the Oceanside Pier and Harbor Tour, where visitors can explore the quaint neighborhoods of Carlsbad and visit the house where Top Gun was filmed, and the Rock & Ride Tour where friends can explore Southern California’s breathtaking coastline while listening to their favorite music with audio headsets. Simply call to book your spot, hop on your bike, and go. 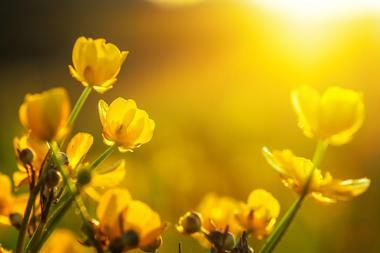 The Flower Fields at Carlsbad Ranch consist of close to fifty acres of Giant Tecolote Ranunculus flowers that have transformed the hills of North San Diego County into one of the most spectacular displays of natural color and beauty in the world. Blooming for just approximately six to eight weeks each year – from early March through early May – the fields come alive with color, attracting visitors from all over the world to take in the breathtaking scenes. Open to the public seven days a week during the blooming season of spring, The Flower Fields at Carlsbad Ranch also offer a garden and special nursery and a small gift shop, and they host several festivals throughout the season. Please check the attraction’s web site for opening times. The season runs from early March 1 to early May 8. Nestled within Omni La Costa Resort & Spa in Carlsbad, the Chopra Center for Wellbeing is an intimate sanctuary surrounded by lush gardens and beautiful views, and it offers guests a tranquil escape for renewal and meditation. Founded by world famous holistic physicians Deepak Chopra and David Simon, the Chopra Center for Wellbeing is dedicated to providing experiences aimed at improving the health and wellbeing of body, mind, and spirit. Carlsbad Village Art & Antique Mall is an antique and vintage collector’s paradise. Featuring over 15,000 square feet of space that caters to more than 100 dealers in a vibrant and friendly atmosphere, the Art & Antique Mall promises to delight all visitors. Vendor stalls are loaded with a wealth of treasures, from home décor and furniture, antiques, collectibles, and vintage items to jewelry, rugs, fine art, china and ceramics, toys, and designer resale clothing. After strolling through the mall, relax with a free coffee at one of the buzzing coffee stalls or enjoy lunch at one of the many casual restaurants and cafés nearby. The Aviara Golf Club is also home to the Kip Puterbaugh Aviara Golf Academy, one of the oldest golf academies in the United States, and it offers a variety of day courses and golf schools for all abilities that focus on the mental, physical, and technical aspects of the game. The center offers narrated guided walking tours that describe the lagoon habitat and its importance to the plants and animals that live there. Animals include birds, mammals, fish, insects, and more. The Craftsmanship Museum is devoted to collecting, preserving, and exhibiting crafts made of wood and metal. It is also known as the Joe Martin Foundation Craftsmanship Museum and the Miniature Engineering Craftsmanship Museum. The museum’s collection consists of 500 working miniature engines such as internal combustion engines, a Bentley rotary aero engine, radial engines, and many more. Other interesting objects in the collection include models of cars, airplanes, and other objects, including a model of a 1932 Duesenberg as well as World War II fighter aircraft models. The objects are maintained in an on-site machine shop staffed by craftsmen and volunteers. 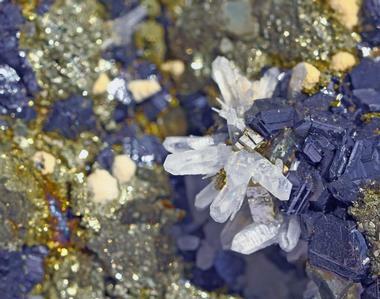 Symphony in Gemstones is an exhibit that includes a miniature trumpet made of turquoise and gold, a harp made of tiger eye, a grand piano made of black onyx, and more. 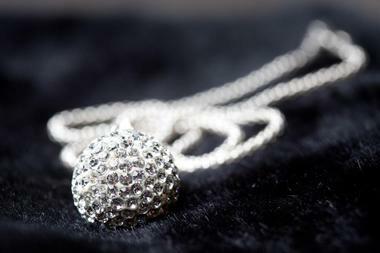 Other exhibits include Generations of Mastery: Gemstone Carvings by Dreher and More is More: Duquette Wilkinson Jewelry, among others. 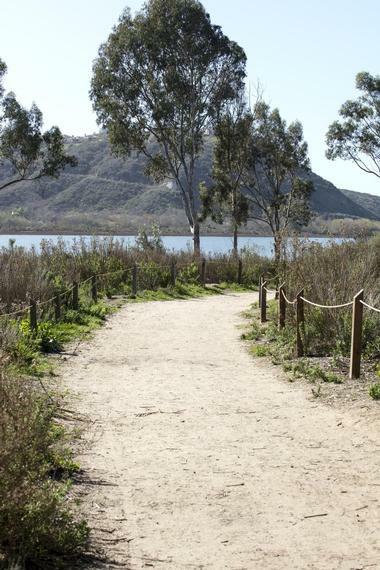 Alga Norte Community Park consists of 32 acres and is San Diego County’s largest state park. It features shaded picnic areas with barbecues, several basketball courts, three ball fields, a shaded playground, and an off-leash dog park. The park’s aquatic center includes a 56-meter competition pool, several diving boards, a 25-yard instruction pool with 12 lanes, a children’s splash pool, and a fitness room. Although bicycles are not allowed in the park, there is a lighted skate park for skateboarders. There is also a snack bar called the Dive in Grill. 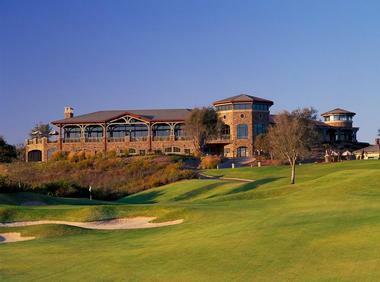 Rancho Carlsbad Golf Course is a 18-hole par 3 course public golf course that also features a driving range. It is known for its beautiful setting in the hills just north of the College Boulevard-El Camino Real intersection, and the Pacific Ocean is just a few minutes away from the golf course. The par 3 golf course offers a challenging and enjoyable experience, yet golfers can complete the 18-hole course in less than three hours. 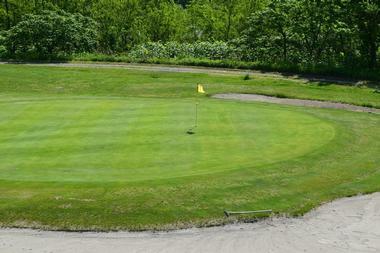 On the north side of the golf course there is a driving range made of natural grass. The 19th Hole Deli offers a variety of drinks and light meals. 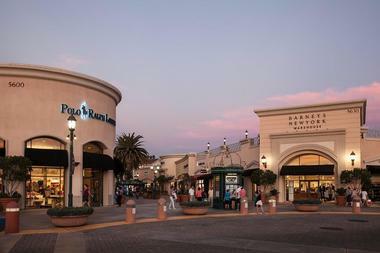 Carlsbad Premium Outlets is a shopping destination that features more than 90 high-end designer stores such as Tommy Hilfiger, Michael Kors, Cole Haan Outlet, and Calvin Klein, among others. The mall was designed around a central courtyard with fountains, and the architectural style is Tuscan. There are also several eateries for hungry shoppers, including places such as Panda Express, Rubio’s Fresh Mexican Grill, Ruby’s Diner, and Subway. You will always have room for desert with places like Godiva Chocolatier and Haagen Dazs. The mall also hosts many events throughout the year. Created by well-known golf course designer Greg Nash, the course is appropriate for all levels of golf enthusiasts, from beginners to advanced players. 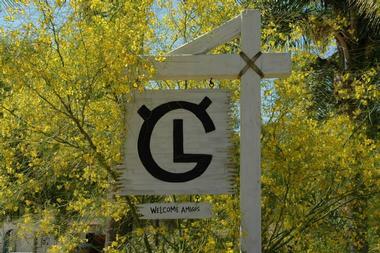 The golf course offers electric golf carts to facilitate traveling around the seven-mile cart path. The 28,000 square foot clubhouse contains a restaurant, a golf shop, banquet facilities, and much more.